Did you ever wonder what is that one thing that almost all successful people has in common?? “I don’t read books” – Don’t be that guy. If you want to be successful, start discovering your love towards books today. There’s no denial, books play a very important part in our life. In fact, I believe books are the best mentors anyone can ever have. Imagine how much happier you’d be if the Dalai Lama himself shows you how to find fulfillment in life, how to find pleasure doing the little things that matter. Imagine how wealthy you’d be today if Warren Buffett tells you where and how to invest your money to get the most profit out of it. Imagine the impact you’d be making in the world if Mahatma Gandhi were here to show you how to lead your people. Having mentors has the power to do miracles in your life. Whatever it is that you want to accomplish in life, an experienced and trusted adviser, aka a mentor can get you kick-started on the path to achieving it. The sad thing is you can’t have all the great people as your personal mentor. Unfortunately, some don’t exist in this world anymore and some are way too out of your reach that you can not even imagine getting face to face with them in this short lifespan. But the good thing is you can still pick their brains. All you need to do is, pick up a/the book about or by the person you would love to learn from. Read on, learn from their experiences. Figure out what they would have done if they were walking in your shoes right now. Implement the learnings, listen to their advice as if they are sitting next to you and telling you what should be your next move. You might also like: Is Passion a must-have to run a Successful Blog? Go ahead pick your mentor (dead or alive), ask him/her whatever you need help with, you shall have your answers. Now, you might be a Blogger or maybe want to become one. Or maybe you’re not sure if blogging is the right path for you. Maybe you’re just looking for some information to get started. Or maybe you just need some inspiration and motivation. Whatever it maybe? You have landed on the right place. Here I have accumulated a list of the books which every aspiring blogger should read once in his/her lifetime. This is the best pick by Tim Ferriss. It is the New-York times’ best-seller book. 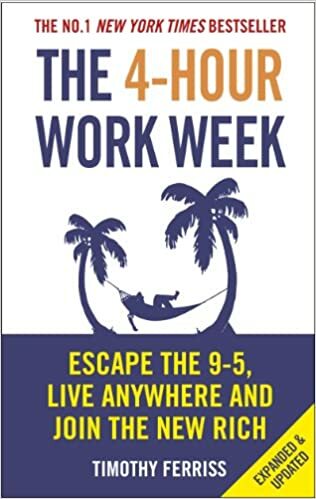 In this book, Tim talks about how to live more and work less. He also talks about how he transformed his life by working less and earning more. The book is jam-packed with more than 50+ life-changing tips and tricks. I personally have seen many bloggers adopting those same strategies in their business and started earning double the amount they use to earn before. 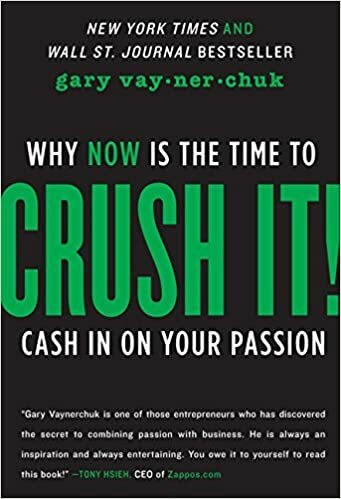 This book is written by Gary Vaynerchuk. He is considered the Social Media Guru. This book entails how to leverage the benefit of social media and earn millions, if not billion. He discusses his unique strategies which you might have never imagined of. Gary used to handle his father’s wine shop when he was 20. One day, he took the camera and recorded a video and uploaded it to YouTube. Today he is one of the YouTube stars. So, if you are looking to dominate the social media with unique strategies which not everyone is using, and if you want to get an edge over all of your competitors then go read Crush It! The book is written by Robert Kiyosaki. An amazing book for Personal Finance out there and also for bloggers. Because you need to keep a track on what needs to be done first and how? In this book Robert’s shares the story about both of his dads the rich and the poor one. He listens to both the dads and thinks what is good for him and takes the final decision. 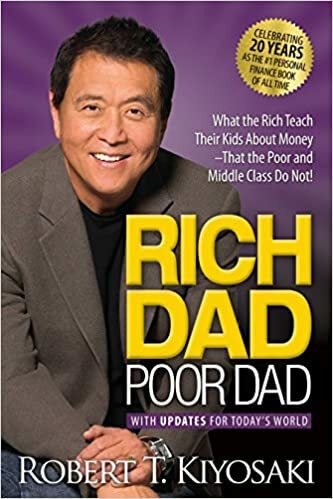 This book Explodes the myth that you need to earn a high income to become rich. And also shows parents why they can’t rely on the school system to teach their kids about money. After reading this book you’ll sure use your money cleverly. 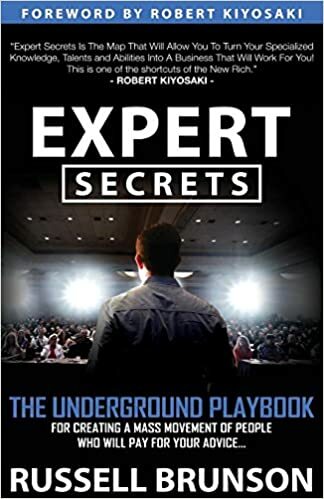 The book is written by Russell Brunson the founder and owner of Clickfunnels. The book shows you how to become a leader in your industry. How to find a business idea that works the best. Of course, being a blogger you want to influence your audience, right? This book teaches you exactly that. By knowing your customer, what they need, will your idea work, and starting your own successful business, this book covers it all. The masterpiece is written by Jocelyn Glei. You know we all struggle to focus our mind on one single thing. Most of the time we are distracted and want to achieve everything in life. Manage your Day-to-Day life will teach you how to focus and prioritize your work and get things done in less time than you think. If you work the whole day long still at the end of the day you think you have not given your 100%? Then this should be the first book you read from the list. 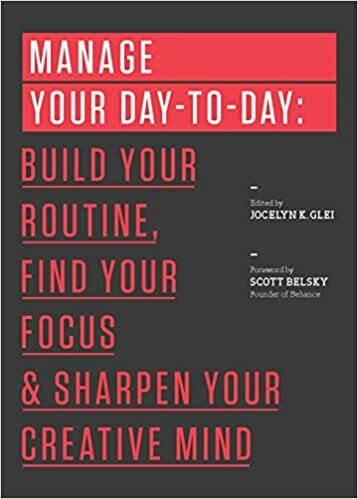 Go ahead and grab a copy of Manage Your Day-to-Day. You’ll love me for that. This book is written by the well-known author Lara Casey. 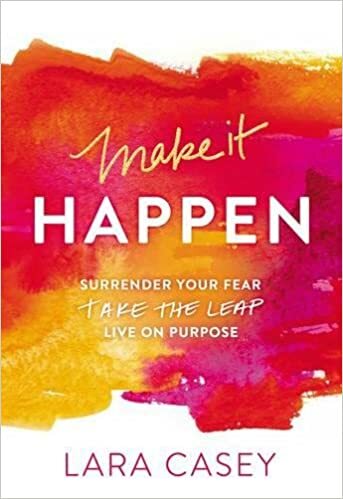 She pictures her whole life into this book and showcases how she overcome her fears and take a leap to achieve her goals. The box is for those who run for perfection and find themselves worried, those who are looking for some courage to start a new venture and also for those who are struggling to do it all together. Reading this you’ll start knowing the solutions to all the above-mentioned problems. One of the must read! If you are a blogger you must have heard this name Neil Patel before. Yes, the book is written by one of the top 10 Digital Marketers in the world Neil Patel. Hustle is the book for all the Entrepreneur out there. The book focuses on how to take baby steps daily and achieve massive success in your life. Through this book, the author has tried explaining how to look at work and life with a whole new vision. A vision filled with opportunities and with people who praise you for your talents and growths. 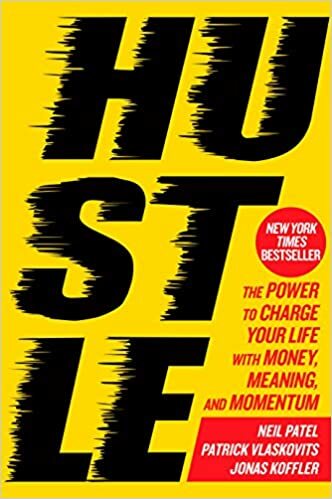 Along the book, you’ll discover hustle is the optimal path to achieving success. 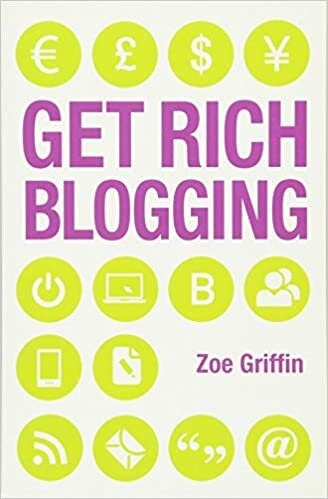 The author of this book is a six-figure blogger Zoe Griffin. If you are bored with your job and done with daily paycheques. If you want to earn more money and don’t want to get a fixed salary every month then Zoe explains it the best. Most of you leave the blogging game because it’s difficult to come up with new content ideas every single day. 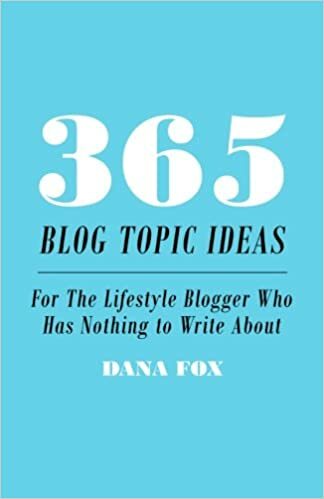 With 365 Blog Topic Ideas by Dann Fox, you’ll never run out of ideas. Whether you have just started blogging or a seasoned blogger this is the book which you should keep next to you always. In this very fast era of the Internet, everybody is a writer. You just need a blog and a publish button to become a writer. 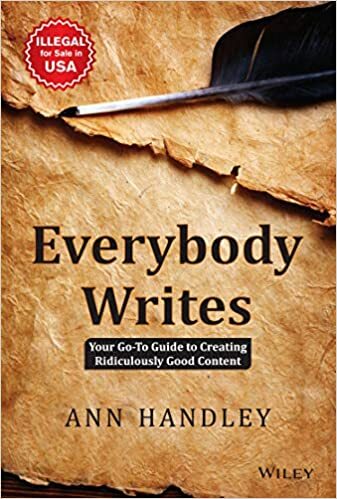 But, that is not all, with this book Ann Handley, shows you how to write a better copy which attracts more people to your blog. Being a blogger you must know how to write content that converts. Your aim being a blogger is to convert that reader into subscriber and that subscriber to a customer. Everybody writes will teach you exactly that in a very well-formatted way. I hope you enjoyed the post. Go ahead and read at least one book from the list, if not all of them. I know blogging can be tough and overwhelming, and it requires a lot of patience before you make your first $ online. In most cases, you would start blogging, hoping to get rich in just a few months. And when you see that’s not happening you would lose patience and give up. Let me tell you if you are on the same path and struggling to make money online then you are not alone, almost 90% of the bloggers facing that same situation. But if you want to be in the other 10%, all you need to do is just get better than yourself from yesterday. Learn a lot of new things and improve your skills. And in my opinion, books are the best place to get started with. Let me know in the comments section which book is your favorite and why? Also, do let me know if you want me to add any more books to this list which can help other bloggers. See you soon; till than buh-bye! P.S. If you liked the post please do share it with your friends and family who you believe might benefit from this.